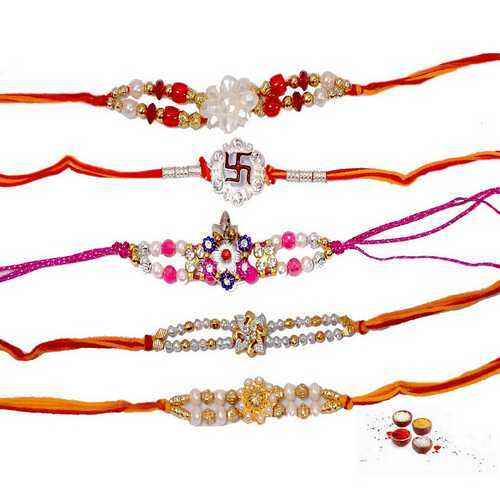 Impress your brothers with these designer pearl and beads rakhis. 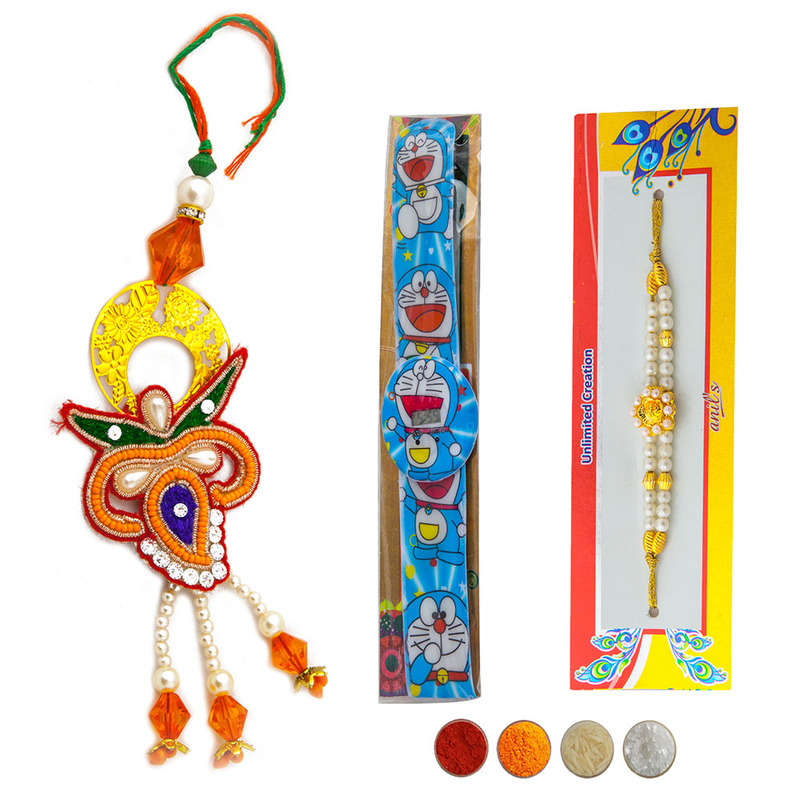 Buy the set of 5 designer pearls and beads rakhi online and send to your loving and caring brothers anywhere in India with free shipping. 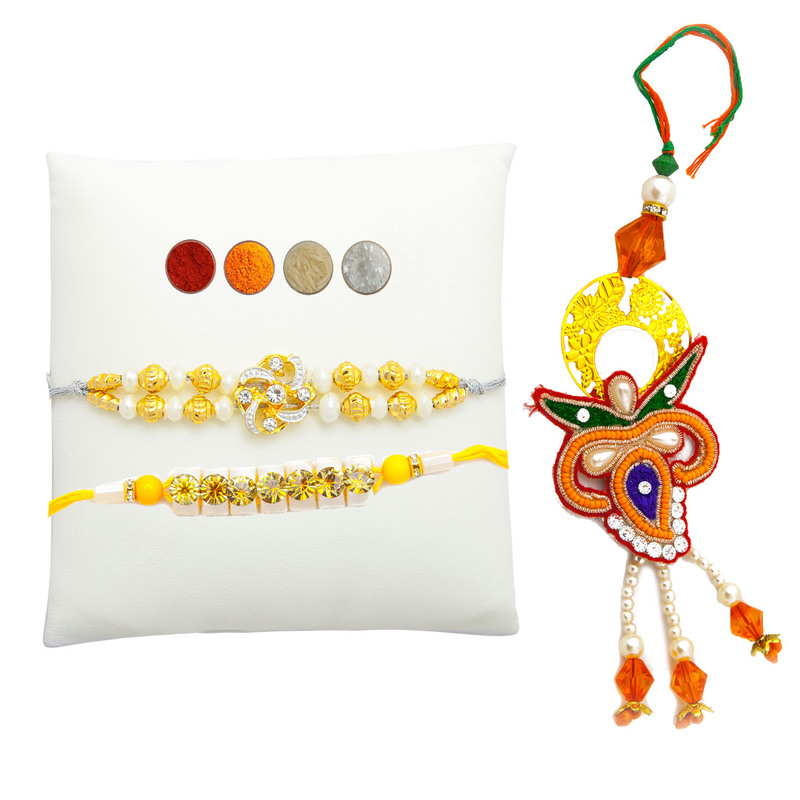 This is a lovely set consisting of 5 elegant designer rakhis skillfully crafted and designed with golden beads, golden threads, red beads, white beads, white stones, american diamonds, silver threads in auspicious mauli or Resham threads with very attractive motifs and designs. 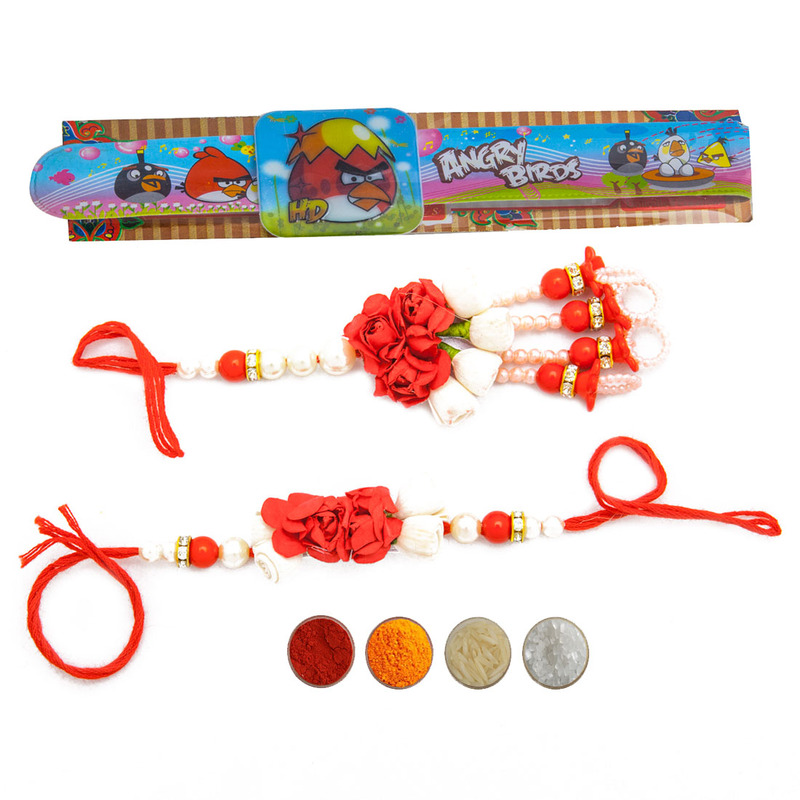 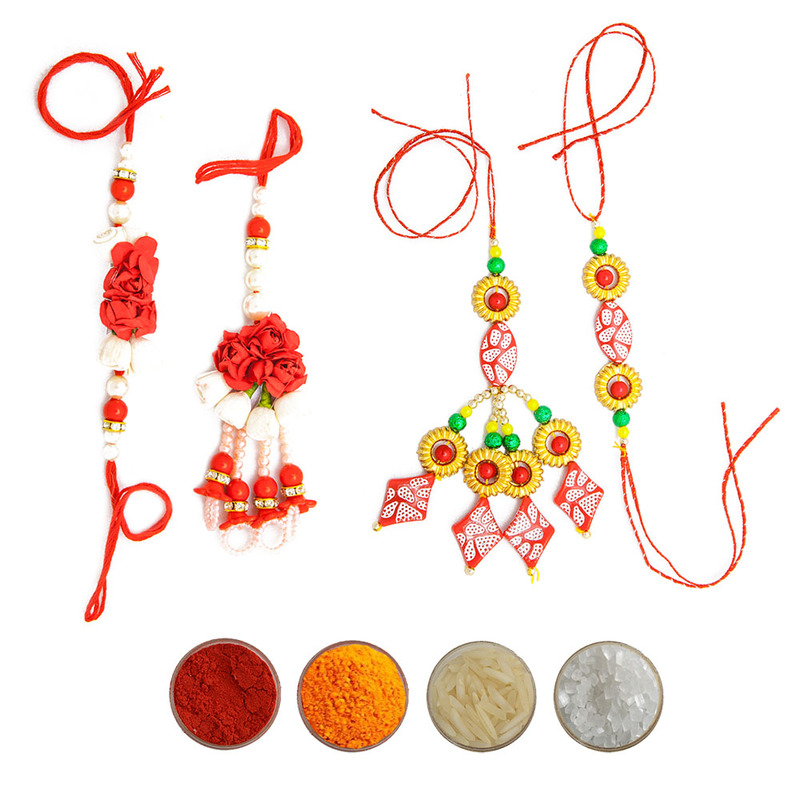 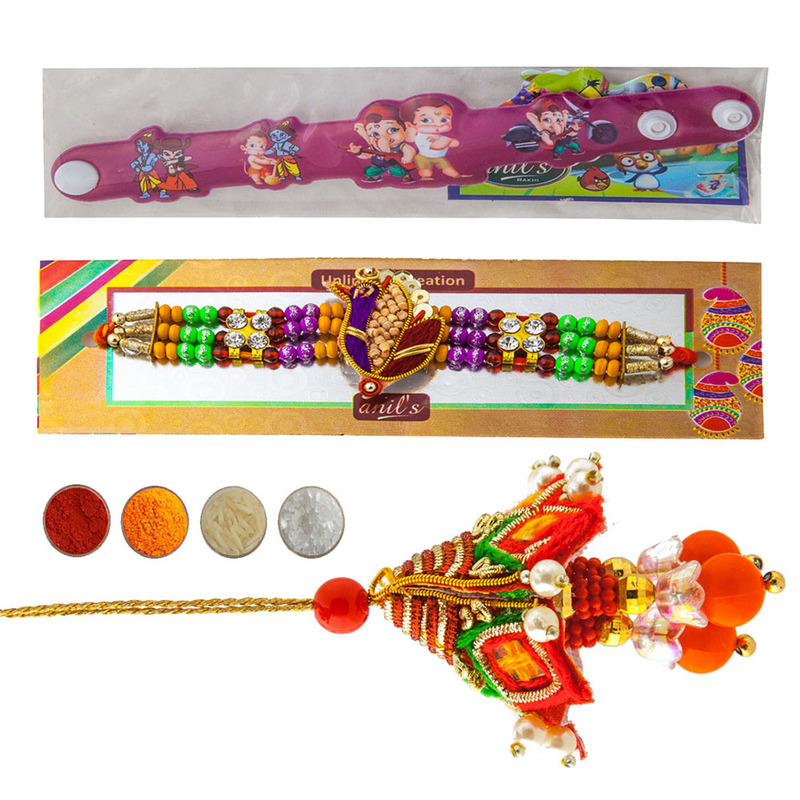 Grab the set of 5 designer pearls and beads rakhis with free Roli, Chawal, Chandan and Mishri in very attractive pack.